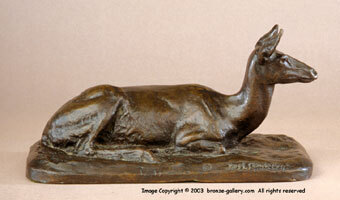 James Clark was best known for his sculptures of African big game animals but he also did a few North American animals. His model of a Virginia Deer lying down is a peaceful work showing the doe resting but alert with her ears up as if she has heard something. 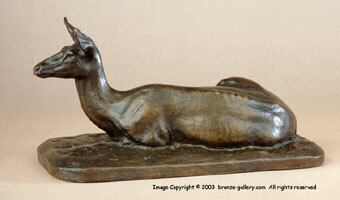 Clark's talent with anatomy is shown clearly in this small bronze. 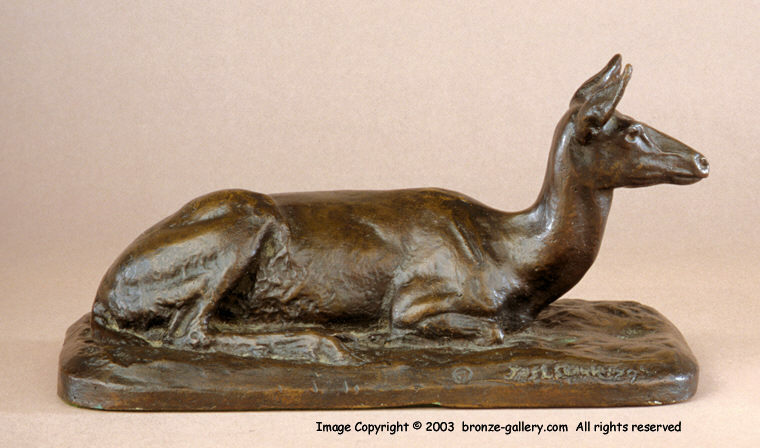 A fine and rare subject by one of the best of the American Animaliers, the bronze was cast by the Roman Bronze Works and is finished in a rich brown patina.